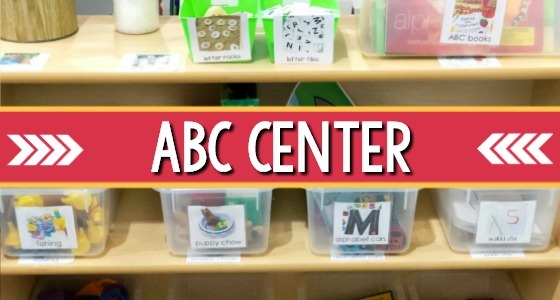 Dramatic Play Center Ideas and Resources for Preschool, Pre-K, and Kindergarten. 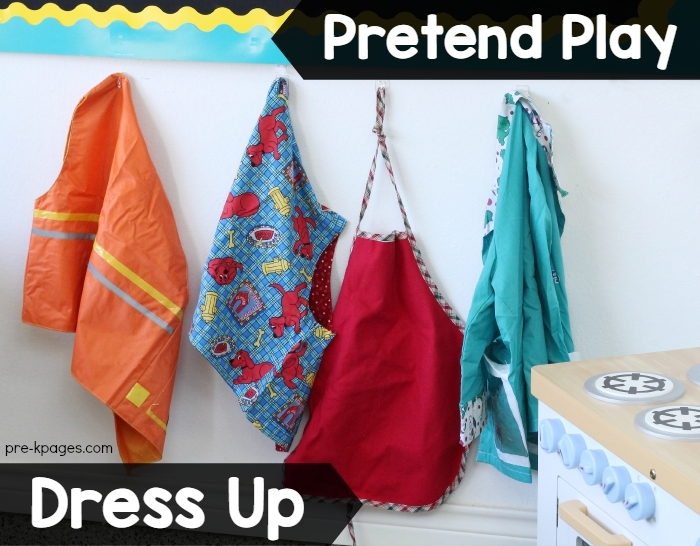 How to set-up and organize a dramatic play center your in preschool, pre-k, Head Start or kindergarten classroom. The dramatic play area is a favorite with both boys and girls. 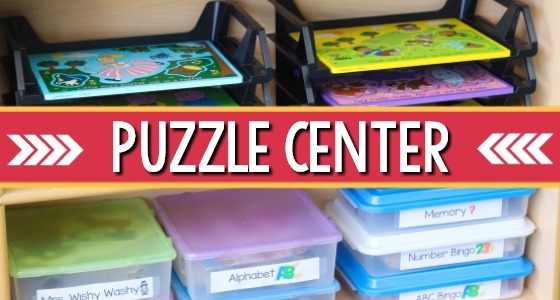 Every year it’s a tie between which center is the most popular in my classroom, the dramatic play center or the blocks center. 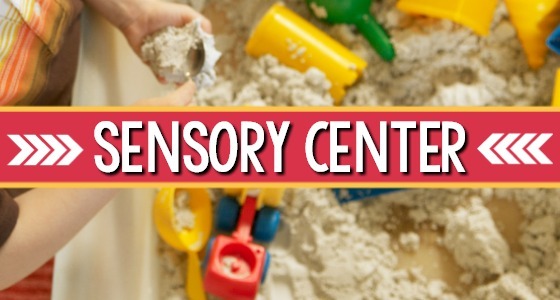 Young children thrive on pretend play, they love to dress up and act out real life situations in the play center. 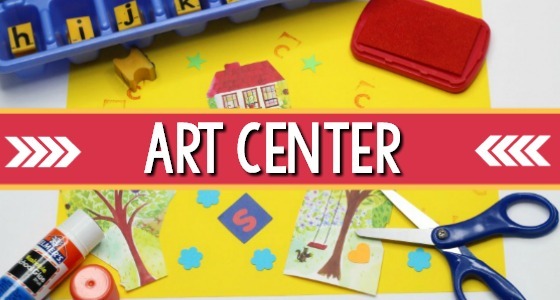 The opportunities for developing creativity, imagination, and oral language skills in the play center are endless! 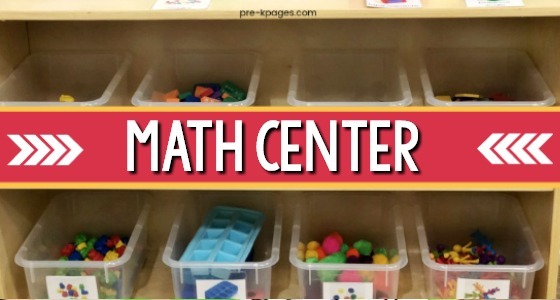 The pretend center can be filled with many opportunities for both learning and fun. 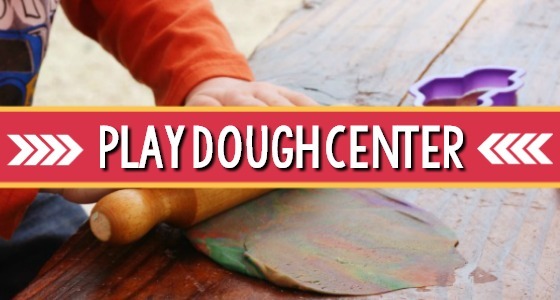 If you’re intentional about planning rich and meaningful play experiences for your little learners, they will not only be having fun, but they’ll be learning through play! 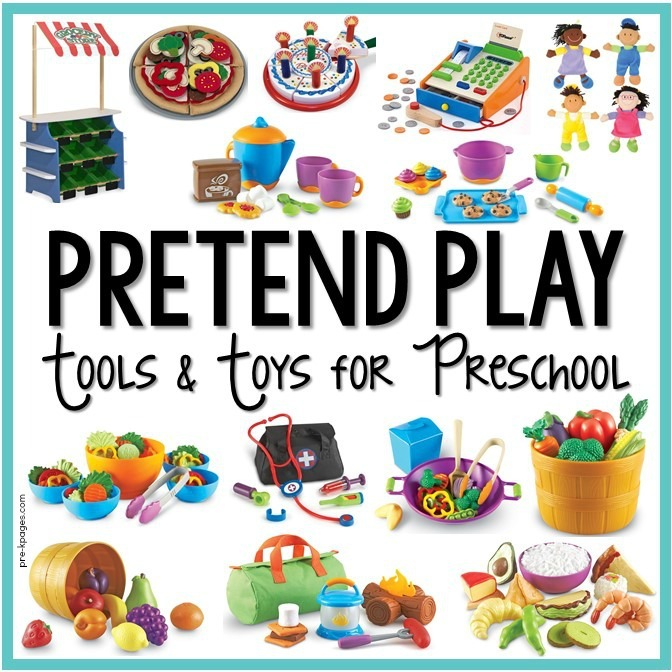 Pretend play promotes the development of higher level thinking skills, problem solving, oral language development and oh so much more! 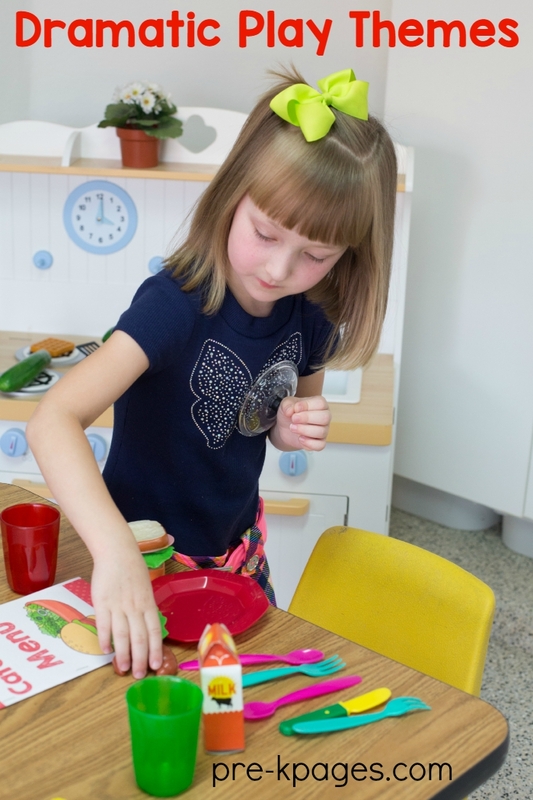 When your kids engage in pretend play they are developing critical skills across all learning domains such as language and literacy, math, science, social studies, fine and gross motor, and even social skills! 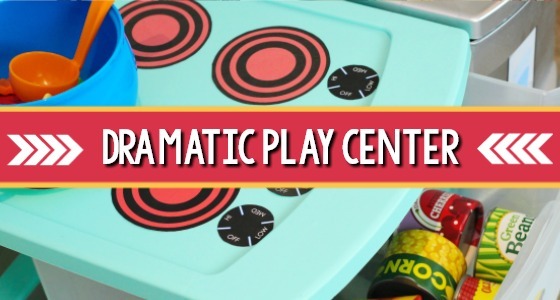 You can change your dramatic play center throughout the year to keep it fresh, fun, and exciting. 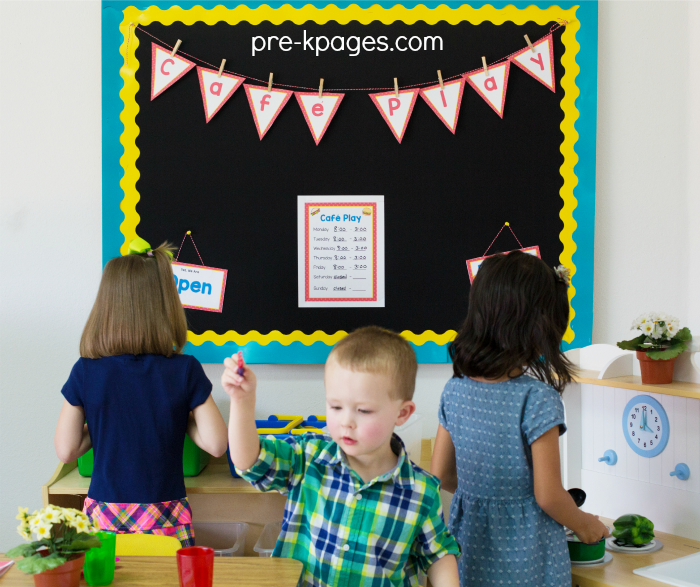 We like to start out the school year with the basic home living or play kitchen center, and then we spice things up by changing our dramatic play themes about every two weeks. 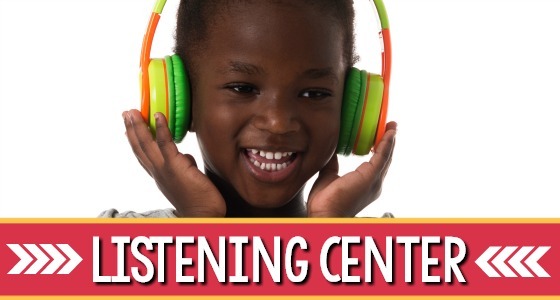 Changing dramatic play themes every two weeks allows children opportunities to practice the vocabulary and begin to internalize the new words offered in each play theme. 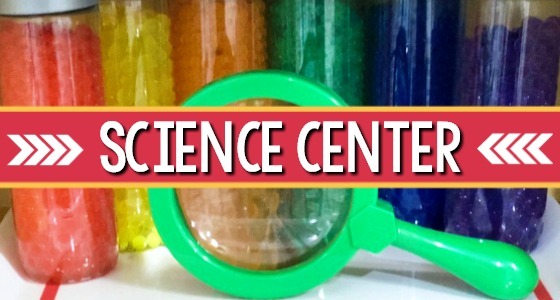 Click on the links below to see pictures of and learn more about the different dramatic play themes we have used in our classroom. 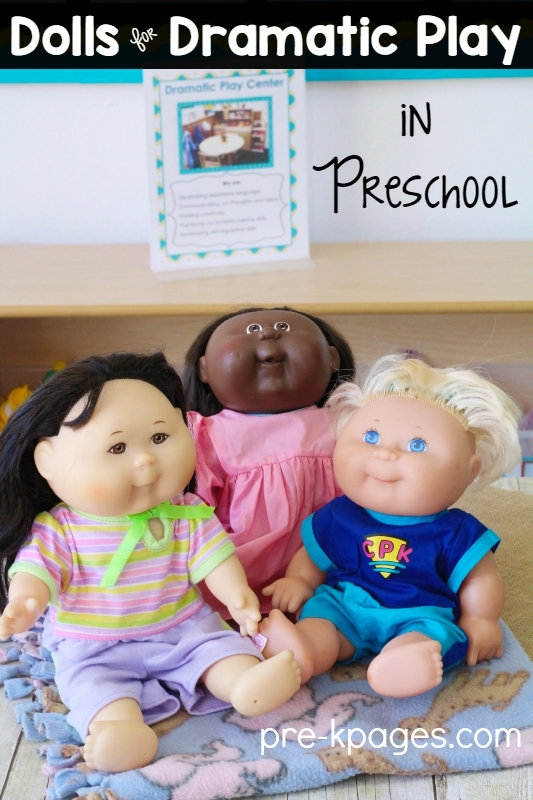 Having dolls that represent a variety of ethnicities in the dramatic play center will provide opportunities for cultural identification for some students, and acceptance for others. I found all of the dolls pictured here at my local Goodwill store for a few dollars each. I was lucky enough to have a parent make doll clothes one year, and I bought the rest of the clothes for the dolls at the toy store since I didn’t have to pay much for the dolls. 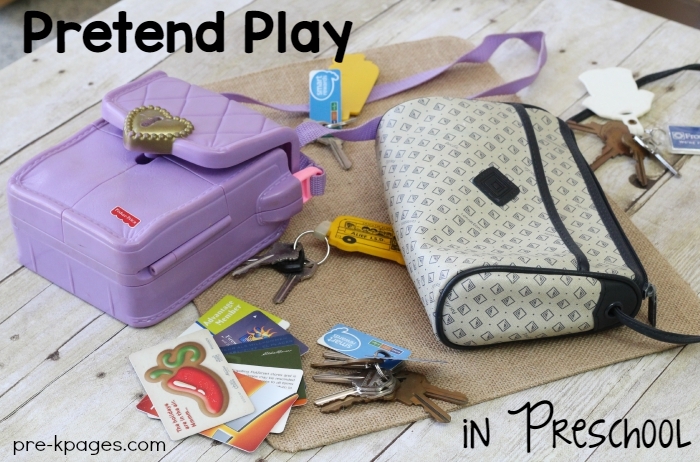 Old purses, wallets, keys, and used gift cards are always extremely popular in the pretend play center. I found the purses at a garage sale. I also save my old gift cards, wallets, and keys to use in the dramatic play center. You can ask your family and friends to save these things for you too. Clothes for dress-up play are hanging from sticky hooks attached to the wall. The best place to get dress up clothes is the thrift store. You’ll find a wide variety of fun clothes that won’t break the bank at your local thrift store. Another way to get inexpensive play clothes is to shop the costume sales after Halloween. A tub of books about homes, clothes, food, and families is available to students. You want to have books available in this center to help young children understand the importance of reading – especially to the baby dolls! Show them how to read board books to the baby dolls as they hold and rock them in the play center. 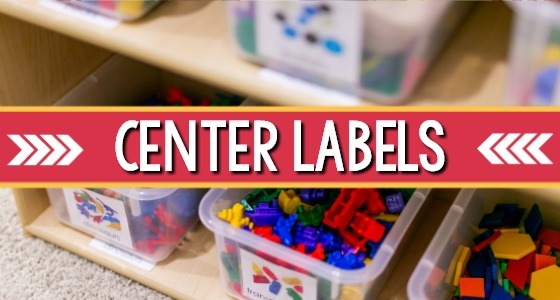 When it comes to cleaning up the play center, labels are your best friend! 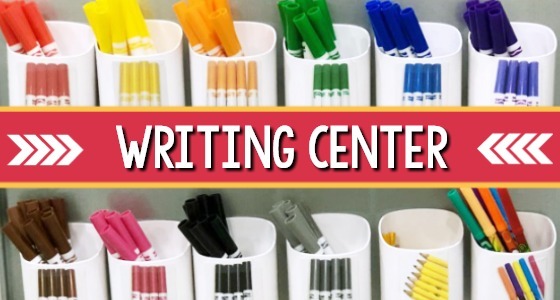 If you label absolutely everything in this center it will make clean-up time go so much more quickly and smoothly for everybody! 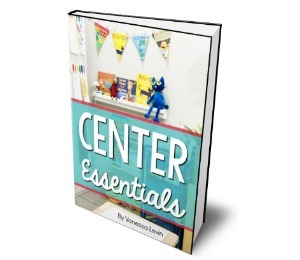 You can take pictures of each item in this center with your phone, then add them to a Word or PowerPoint document. You’ll also want to add words along with the pictures on the labels to help create a print rich environment in your classroom. If that sounds like a lot of work, I’ve got your back! 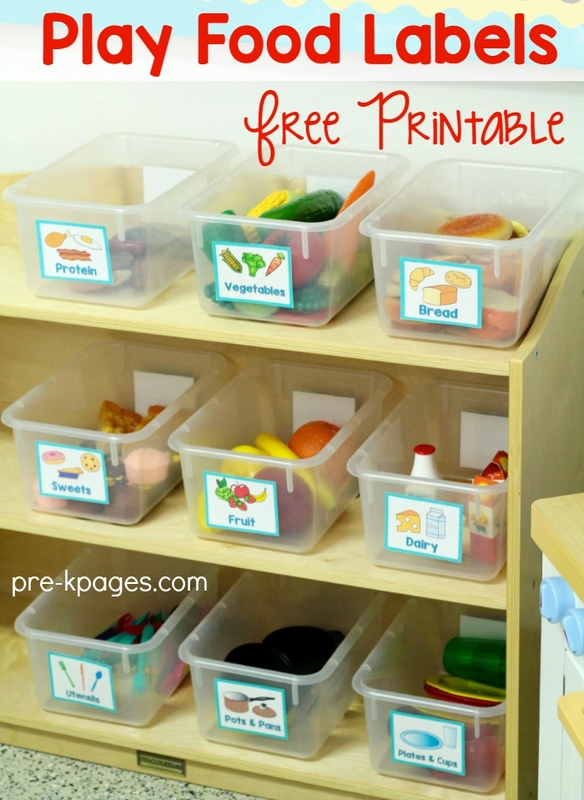 I created these free printable labels for you to print and use in your pretend play area to help organize the pretend food and dishes- I hope you like them! 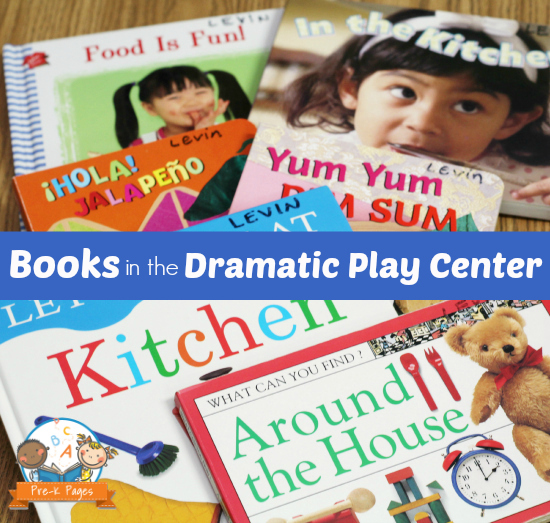 Having a dramatic play center in your classroom is awesome! 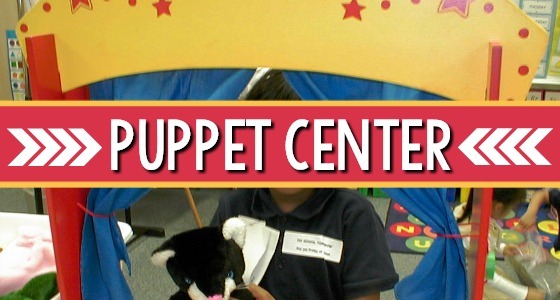 But let’s face it, a dramatic play center can’t make you a better teacher. The best place to discuss teaching best practices and get the support you need is in the Teaching Tribe. We have many printable lessons and on-demand video trainings to help you become the best teacher you can be! If you want to get on the waiting list for the Teaching Tribe, do it soon so you don’t miss the next open enrollment period!